Another week, another wee set of small pleasures. I took Thursday afternoon off work, and went shopping for birthday presents, some Veja trainers in dark red and a black dress from Kowtow. 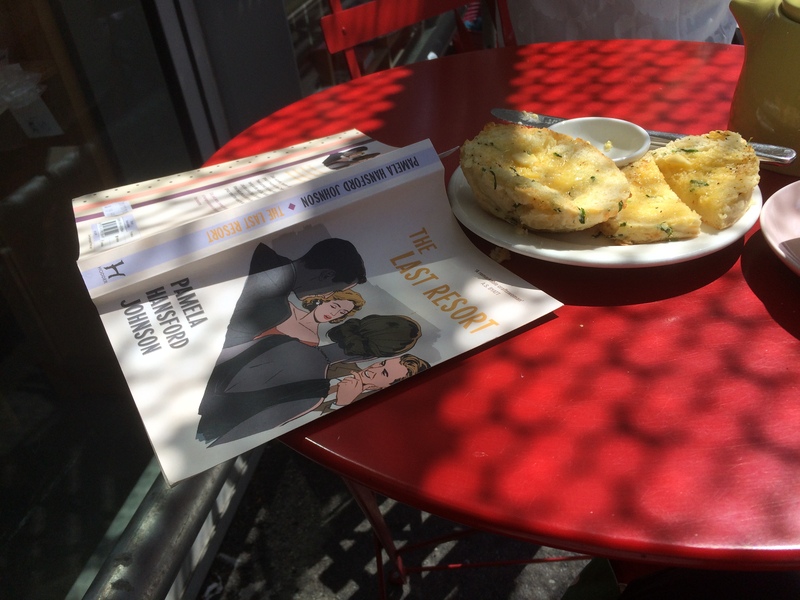 I stopped for a cheese scone and tea at Ekor Bookshop and Cafe (see featured above) before heading to Pilates. The weekend was particularly lazy…so there was time for reading, drinking tea, lying on the sofa and watching Chef’s Table on Netflix. Sometimes you just need time like that. The weather….mostly good…definitely cooling down…still some lovely sunny days and moments. I cooked some lovely fish cakes made with wood smoked salmon, and roasted some nectarines with maple syrup and a drizzle of vanilla paste for dessert on Sunday. The new season at the Royal New Zealand Ballet has started, and on Saturday I went to see the Choreographic Series. This was an evening of four pieces by choreographers working within New Zealand. The opening work was Moss Te Ururangi Patterson’s Hine, a rousing opening piece, danced to a mix of music. There was a wonderful moment for the female dancers, dancing on pointe to metal band Alien Weaponry, that reflected beautifully the connection of the old and the new. The symbols were inspired by Patterson’s home town marae. The second piece of the evening, James O’Hara’s The Sky is not so different from us, perhaps, a lyrical if slightly overlong piece that could have done with a bit of editing. My favourite work of the evening was Shaun James Kelly’s The Ground Beneath Our Feet, a joyful, neo-classical piece that really gave the dancer’s a chance to show off what they could do (unlike the rest of the evening). I loved it, and could easily see it again – but please do something about the awful costumes! The evening ended with Sara Foster-Sproull’s Artemis Rising, specially made for Abigail Boyle, who is retiring after 13 years with the company. I think that is it for this week…what were your small pleasures?